As you are all aware, Timber Sales sells timber regarded as not quite first grade. But just because it’s discounted doesn’t necessarily mean sub standard. More often than not, it simply means that visually it’s not consistent, or it has some water stains or moulding miss.It could even be slightly off spec in terms of its size and so on. So let’s say you’re interested in purchasing a pack of timber, and it’s not visually consistent. But you’re wanting to turn this into some type of feature (eg decking, cladding or even a screen/fence). Typically this will mean it may contain imperfections such as gum veins, patches of grey moulding “miss”or other marks and superficial stains. So what do you do to make the timber really “shine”? In terms of the gum veins, knots and ambrosia, embrace those blemishes. Be bold and turn the imperfections into a feature. Some of these imperfections add tremendous character, especially if you’re after a rustic or recycled effect. 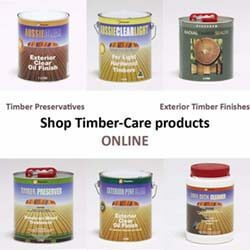 The one thing that will make all timber look it’s very best prior to applying that timber oil or stain, Oxalic Acid. 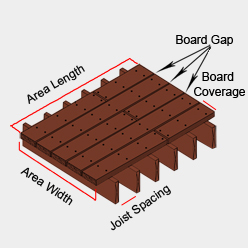 Oxalic acid is by far the best and cheapest method of rejuvenating timber with the minimum amount of effort. It removes many blemishes such as UV weathering, sapstain/bluestain moulds and even iron stains (note: if irons staining is present, you will need to sand out the iron causing the stain out, or it will return). Oxalic Acid timber cleaners come in two types, as a pre-dissolved liquid concentrate, or as pure Oxalic Acid crystals. Timber Sales recommends that the pure crystal form works better in this type of application, as it contains no other ingredients. 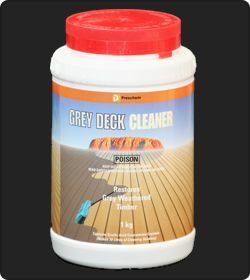 Our recommended brand name product is Preschem’s Grey Deck Cleaner. To apply an Oxalic Acid (if using the crystal version), simply dissolve 1kg of crystals into 10kg of hot water in a bucket. Stir the contents until the crystals have completely dissolved. Then use a stiff nylon bristled brush and scrub the solution onto the timber. Once finished, thoroughly wash the timber with fresh water from a garden hose or with a pressure washer. This last step is important, as Oxalic Acid left on timber will eventually erode it. Now for the all important Health and Safety bit. Oxalic Acid is a mild acid and poison, so follow the safety directions by wearing protective clothing, gloves and safety goggles or glasses. If you get any on you, immediately wash with fresh water for up to 15 minutes. And of course, keep it away from children. For a complete list of health and safety information, contact the manufacturer for a copy of the MSDS. In terms of the environment, Oxalic Acid is a naturally occurring material, commonly found in high concentrations in plants such as asparagus and rhubarb. But when cooked, these plants become safe to eat. So the good news is that as it’s a naturally occurring material, it breaks down very quickly, with no lasting environmental effects. All of these reasons are why Oxalic Acid is the perfect timber cleaner.